What in the world is Kisisi? It is an invented language between two little five-year-old boys, one, American and the other, Kenyan. It is based on the Swahili language, and only the two of them understood it. They created their own language as they ran and played in Kenyan. Here is a review of the book, which Dawn Wink contributed. Perry Gilmore is the author of the book. 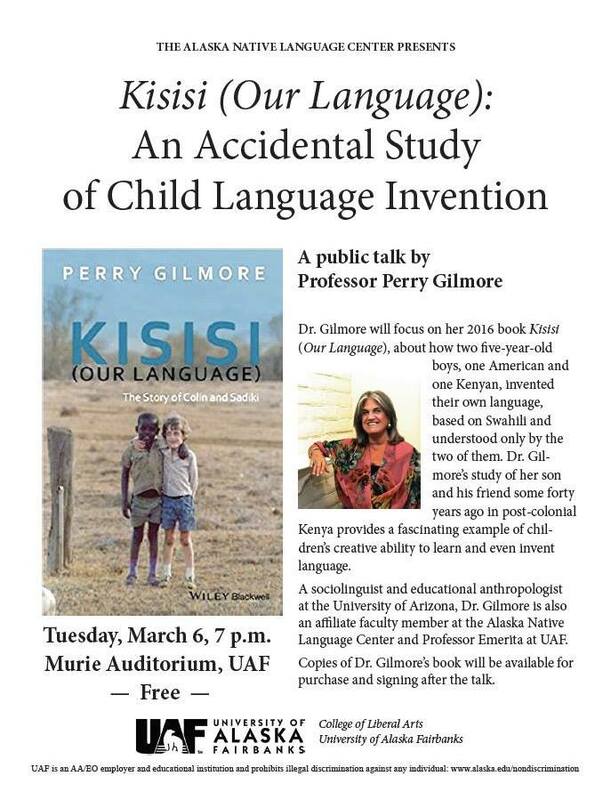 Perry will be sharing in Alaska on her book, March 6. Lucky Alaska!